* Up to 32 channels are supported by using two SA-02M units. * Standard software is supplied with the unit. Provides both functions of FFT analysis and octave, 1/3 octave, 1/12 octave band nalysis. Designed for sound insulation measurement of buildings and building materials based on ISO specifications. Measurement and evaluation of sound reduction index, reverberation time, level difference between rooms, floor impact sound, attenuation, and sound absorption are supported. The system configuration consists of 10 microphones and the multi-channel signal analyzer SA-02. 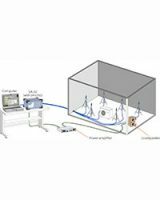 Designed for automatic measurement of acoustic power levels according to the ISO3745 (JISZ8732) specifications for acoustic power level measurements in hemi-anechoic rooms. Sound pressure level values are measured in a hemi-anechoic room using measurement points arranged on a virtual measurement surface (hemispheric, cuboid). The acoustic power level is then calculated using a multi-channel signal analyzer. 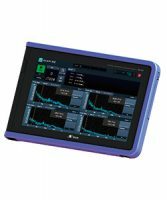 Up to 10 channels of the signal analyzer can be used simultaneously. Designed for measurement of anechoic acoustic power levels. 1/3 octave band and A-weighted acoustic power level can be determined, according to the following specifications. ISO 3741:1999 Acoustics — Determination of sound power levels and sound energy levels of noise sources using sound pressure — Precision methods for reverberation test rooms. Vibration control materials such as laminated damping steel sheets, high-damping alloys, plastic, or rubber are used extensively in automobiles, electric home appliances, office equipment and other areas, to effectively reduce vibrations. 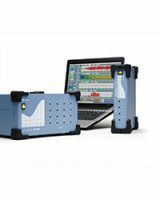 This system uses the multi-channel signal analyzer SA-02 and offers easy menu-based operation for measuring the frequency response with the center excitation method or cantilever method. The resonance characteristics are then used to determine the loss factor η and Young’s modulus E (or shear coefficient G) of the specimen according to the half-power bandwidth method. 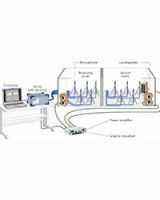 Measurement analysis results can be checked with a Nyquist diagram or the frequency response overlay function. 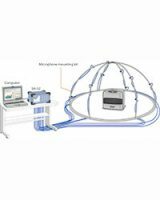 Automatic measurement of the specimen at various temperatures through temperature control of a thermostatic chamber is also supported. 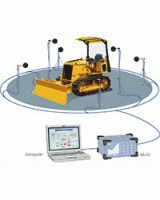 Designed for measuring acoustic power levels of construction machinery, the computer running the software controls a multi-channel signal analyzer of the SA-02 series to acquire 1/3 octave band acoustic power levels. Sound pressure level values are measured for six measurement points arranged on a hemispheric virtual measurement surface (fixed point method), and data for levels produced by the operating sound source are compiled by the computer. Designed for measurement and evaluation of sound at production lines with high noise levels. 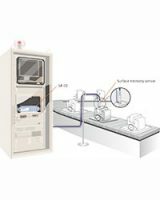 A system configuration consists of surface intensity sensors (combination of microphone and accelerometer) and the multi-channel signal analyzer SA-02. Designed for measurement of hand-arm vibrations according to ISO 5349. 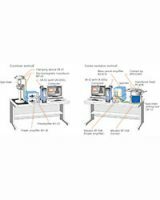 A triaxial accelerometer is attached to both arms, and the multi-channel signal analyzer SA-02 is used to simultaneously measure both arms.